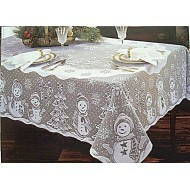 Snowman Family rectangle white 60x104 tablecloth. 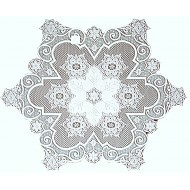 This adorable tablecloth is from the Heritage Lace holiday collection. 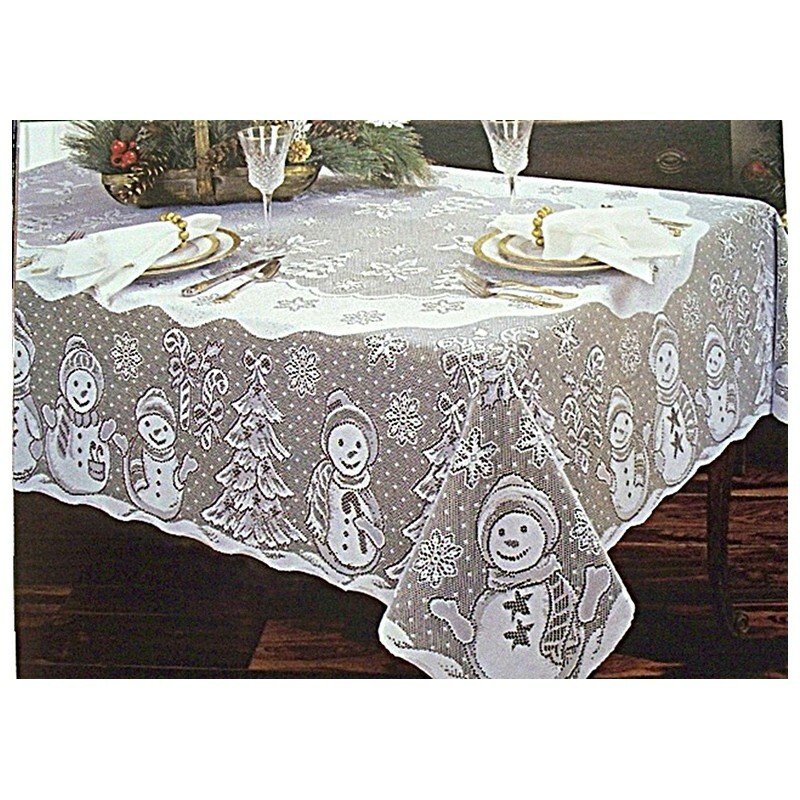 Done with just the cutest snowmen completely around the tablecloth, accented with snowflakes, candy canes and christmas trees. Use alone or why not add a solid colored material or pad underneath to make the snowmen really pop. Children will love this tablecloth. 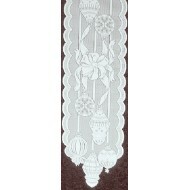 Size: Measures approximately 60 inches wide x approximately 104 inches long. 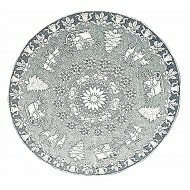 This wil fit a table size 36 inches x 80 inches up to a 48 inches x 92 inches. 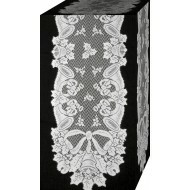 Care: Machine wash cold-gentle cycle and hang or lay flat to dry.